No Longer Accepting Applications – Deadline has passed. We are excited to offer an HUECU Scholarship Program to benefit our community of members and their families attending college during the 2017-2018 academic year. 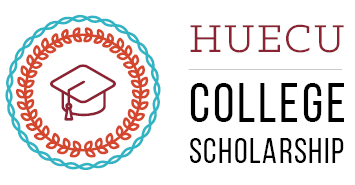 The HUECU Scholarship Program will be awarding five (5) $1,000 scholarships to high school seniors who will be enrolled in an undergraduate college degree program. Additionally, a Review Committee made up of qualified HUECU member volunteers will be used to determine the recipients for the scholarships. Thank you for your interest in applying for an HUECU scholarship. The application process is open until Wednesday, March 1, 2017. Please review the HUECU scholarship eligibility and requirements listed below before applying. Limited to high school seniors who will be enrolled in an undergraduate accredited U.S. college degree program during the 2017-2018 academic year. Savvy Saver Scholarship: HUECU knows how important it is for students to keep a close eye on their spending. Give us an example of a budgeting challenge you were recently faced with. How it has helped you plan for the future? Application and additional required documents must be submitted by Wednesday, March 1, 2017. If you have any questions about the 2017 College Scholarship Program, please email us at myHUECU@harvard.edu.